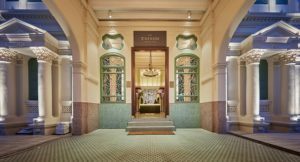 Congratulations to the winner of 2017 AHEAD ASIA Awards – The Edison George Town, Penang! ‘Charming’, ‘Beautiful’ and ‘Authentic’ were just a few of the words the judges used to described the way Edison’s designers have respected a classic and original building, while injecting a new personality into it. Visit the award-winning hotel HERE!